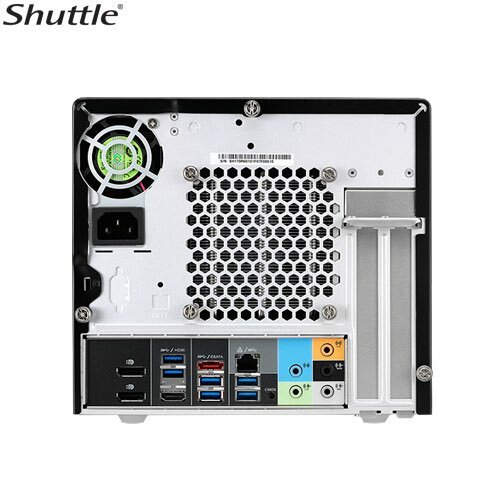 Shuttle may not exactly be the barebones force in the marketplace that they once were, though they’ve just announced and released their newest barebones PC that’s based off of Skylake, the SH170R6. The SH170R6 uses the same R6 chassis that has been a staple of Shuttle SFF series since 2013 when they introduced the SH87R6. This means that on the sleek, industrial and understated exterior there are 2 USB 3.0 ports and 2 USB 2.0 ports on the front flip down panel along with an external 1/8″ microphone and headphone jack. On the back there are 6 USB 3.0 ports, 1 eSATA port, an HDMI out connection, 2 DisplayPort’s, RJ-45 for the built-in Intel I219 GbE connection and a CMOS clear button. Inside is Intel’s H170 chipset on a custom form-factor to fit in their chassis (though any mini-ITX board will fit in the case) with support for up to an i7-6700K that has 4 DDR4 slots with official support for speeds of 2133MHz, 1 PCIE X16 slot with wider dual slot support, and a PCIE X4 slot just in case you needed to have two different expansion cards. For storage we have an M.2 MAX slot that accepts up to 2280 and 4 internal SATA 6.0 connectors. There’s room for 2 3.5″ HDD’s and up to 4 2.5″ HDD’s inside. Powering it all is a 300W 80 Plus Bronze certified power supply. 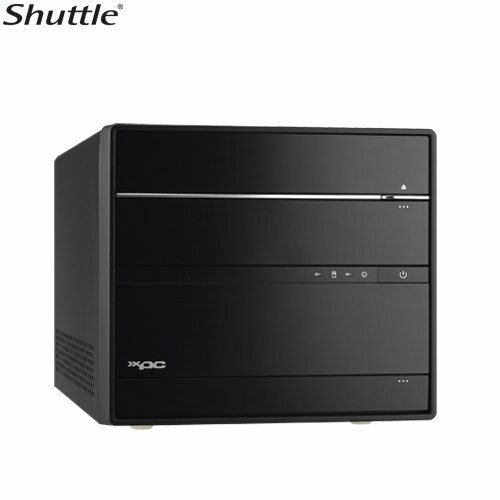 Shuttle began as an enthusiasts solution to the small form factor back when there were very few options for such on the consumer market. They quickly gained recognition for their high quality components and clever engineering with the ICE branded cooler, made specifically for their cases. 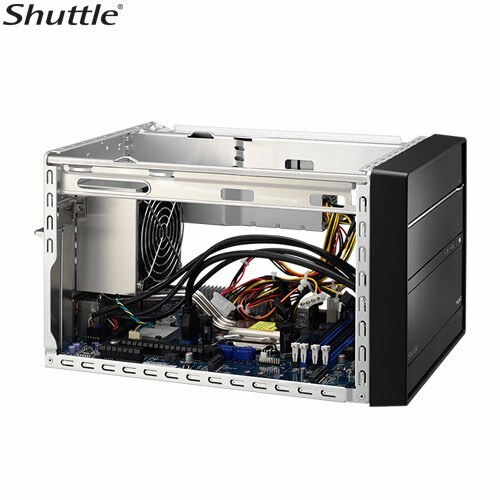 Though now there are many ways to build an SFF PC on your own with a large variety of attractive case options, Shuttle does provide an easy and integrated solution. It’s not the smallest, nor is it the most feature rich, though the design is timeless and they do have a very good reputation. Full specs are below.